Standard Chartered Foundation (SCF) collaborated with the Ministry of Health to establish the Intraocular Lens (IOL) Project for 3 years (2013-2016). 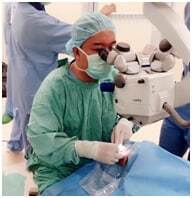 During this period, SCF donated a total of RM1.5 million which resulted in over 4,400 lenses being distributed to underprivileged cataract patients across Malaysia by December 2016. Currently the Foundation is looking to support this project further and all funds raised through SCF in the Standard Chartered KL Marathon 2017 will be channelled towards this project. In June 2016, eight Bank staff volunteered to assist underprivileged cataract patients undergoing surgeries in Kuala Rompin, Pahang. It was an opportunity for the volunteers to witness first-hand how this collaboration with the Ministry of Health benefited the underprivileged through the provision of quality eye-care in rural Malaysia. SCF organised a “Ramadan Do Good” – A Day with Orphans for 18 girls and 12 boys from Pertubuhan Anak Yatim Al-Khair, a home for needy in Seremban. It was a full day programme where Standard Chartered Bank staff volunteered to pair up with an orphan from the home to shop for festive attire. A Financial Education session was also conducted for the children before the Iftar celebration at Royale Bintang Hotel, Seremban. Standard Chartered Foundation contributed hampers and festive cash to the children and the home. 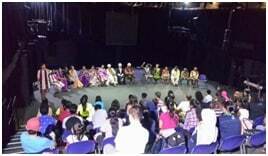 In September 2016, SCF made it possible for 32 underprivileged children from Rumah Wake and Care2Run Programme to experience a stage play, "Shakespeare Goes Bollywood", at the Kuala Lumpur Performing Arts Centre (KLPAC). A short workshop was held after the play where cast members shared their experiences and expertise in the performing arts. In October 2016, SCF hosted 50 underprivileged children from Sivananda Home to a Deepavali event. Starting off with a vibrant performance, the children were welcomed and treated to a variety of Indian delicacies before taking part in a fun kolam competition. A scrumptious lunch was served and children from the home were encouraged to take part in an impromptu singing session that showcased their hidden talent in singing. In December 2016, Santa and his elves brought cheer to about 70 underprivileged children from Dignity for Children Foundation in a fun filled event organised by SCF. There were a range of activities that the children took part in such as colouring, Christmas themed origami session, face painting and carolling. Towards the end of the session, the children's wishes came true when Santa called their names out and handed their presents. In December 2016, as part of the Back-to-School initiative, SCF contributed basic school essentials such as school uniforms, school bags and stationeries to prepare some 500 underprivileged children from Dignity for Children Foundation for school. 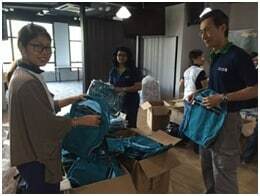 Volunteers from the Bank helped organise and pack 500 school bags with stationeries. The school bags and uniforms were later distributed to the children. SCF contributed to the Malaysian Association for the Blind (MAB) by upgrading their server to improve communication between the visually impaired community and the public. Through a collaboration with Pertiwi Soup Kitchen, an organisation that feeds the homeless, Standard Chartered Foundation donated RM10,000 to feed more than 2,000 of the homeless and hungry. 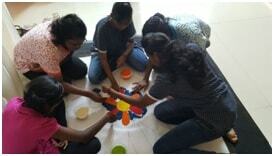 SCF worked with Permata Kurnia, a centre for children with Autism, to provide volunteering aid for their workshops. Every Sunday, workshops or talks are held for parents with autistic children. Bank staff volunteered to babysit the children for half a day while the parents attended the workshops. Leveraging on the opportunity to fundraise, SCF set up a booth during these workshops and talks selling SCF branded merchandise. By December 2016, more than 200 Bank staff volunteered for this initiative and over RM2,400 was raised. 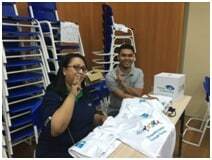 During a staff Family Day event held by the Bank in March 2016, SCF raised over RM2,000 through the sale of T-shirts in support of Autism. In conjunction with World Environment Day 2016, SCF organised a ‘Reduce, Reuse and Recycle’ Charity Jumble Sale within the Bank in May 2016 that saw more than RM6,000 raised for charity. Following the success of the jumble sale, SCF organised two more jumble sales internally, raising more than RM15,000. 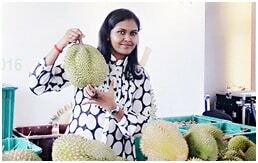 The Bank organised a Durian Party for clients and stakeholders over 3 days in July 2016 at the Tropicana Golf Resort. 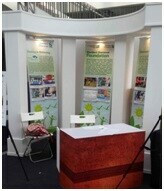 SCF used the platform to sell durians, raising RM9,400 for charity. During the Standard Chartered KL Marathon 2016 Race Entry Pack Collection days, SCF raised a total of over RM15,000 through the sale of infuser bottles.